Clump-forming deciduous perennial with succulent foliage and upright stems of fleshy glaucous greyish green leaves strongly flushed reddish purple. 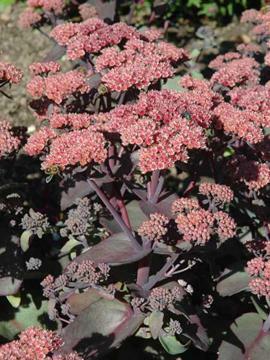 Heads of dusky pink flowers in late summer and autumn. Excellent compact and sturdy habit.